Many homes use basements and some bedrooms for storing items. Two mistakes that often occur are homeowners storing too many items, with some boxes being empty or filled with trash and two, they store items so high and so tightly packed to the wall that they can never see if there is a problem lurking. 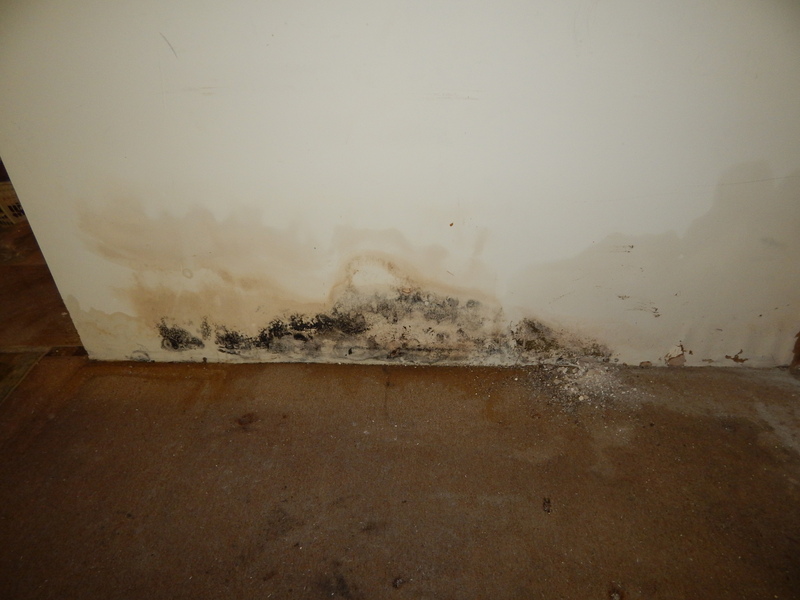 Pictured below is an example of a home that had a minor leak that went unnoticed for several weeks because of boxes stored from floor to near ceiling. The leak then caused damaged, not only to the stored items, but also the walls and floor. If the home would have had a better system for storing such items, most of this issue could have been remediated and repaired prior to causing extensive loss to building materials and personal contents. Too many packed items is also a major fire hazard and if you can not afford to part with any item, then considering a storage unit may be helpful in times like this.